I like your color combinations, this looks great together. gorgeous. ... love the pattern and your colour choices. I think this is one of the prettiest blocks, and I like your go-slow approach. You can't think of that 90 number, or you'll go crazy. Just do as you're doing, one or two every now and then, and before you know it, you'll be piecing a quilt top. I know it's going to look super! This is the coolest quilt Leanne! I love what your background fabric is doing for the other fabrics, which are so wonderful in their own right that I was hoping they might still on on the market. 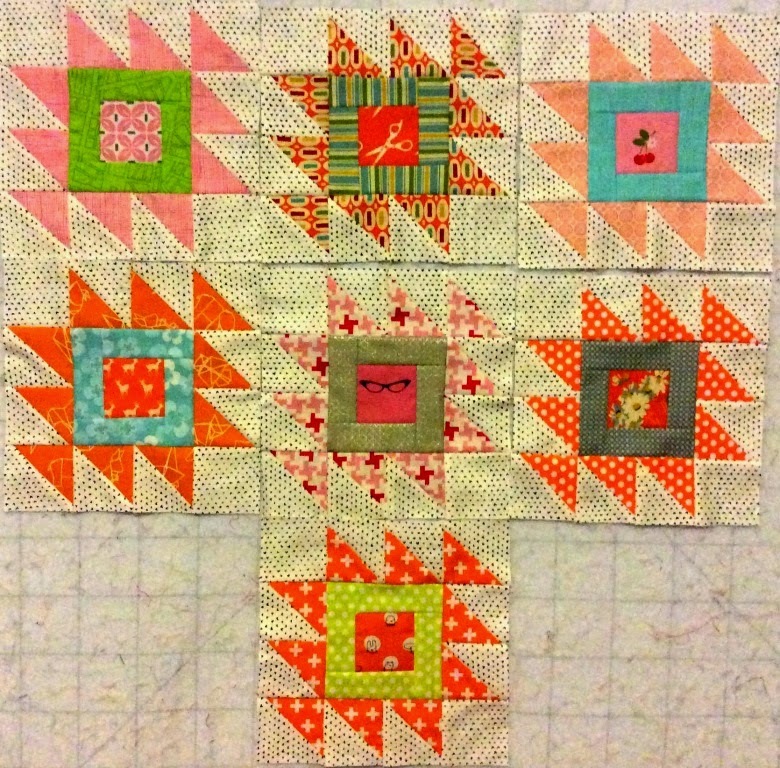 This is a great block for showcasing fun fabrics. 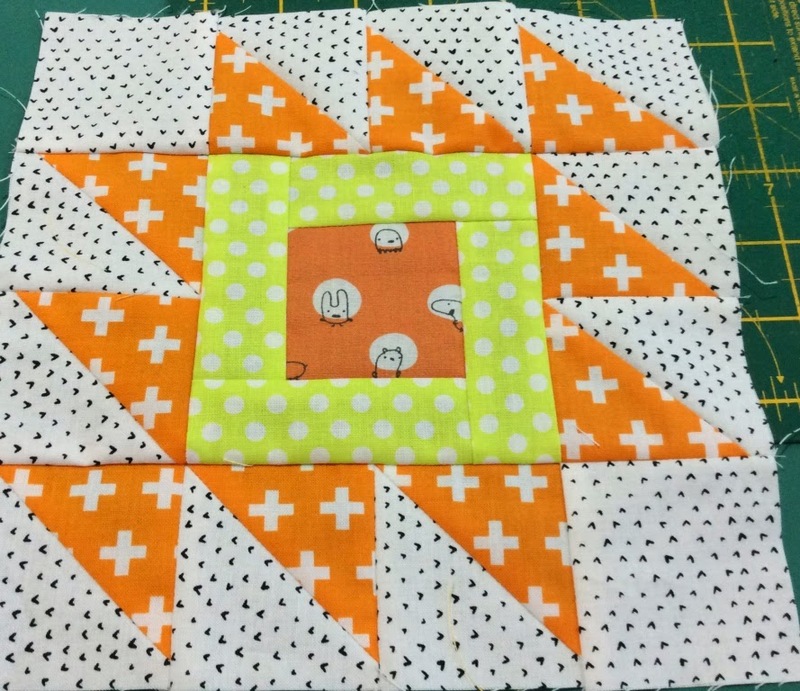 Love these blocks! 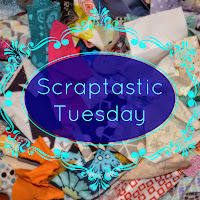 And what a sweet way to use favorite scraps! 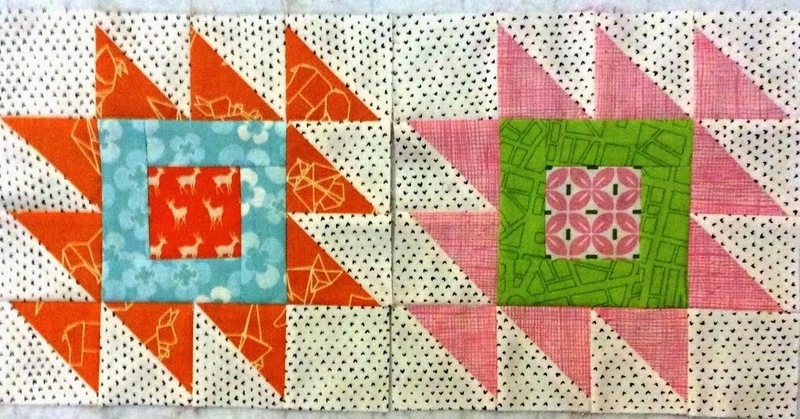 I have a slow project, too, with my Farmer's Wife Sampler Quilt blocks.